Our craft beer tours operate every Saturday afternoon at 1:30pm. One of our friendly guides will take craft beer lovers on an unforgettable journey through Manchester, introducing you to local experts who will offer a fascinating insight into their produce. Private tours can also be arranged on request, please contact us for more information. Each tour lasts around three hours, beginning and ending in Manchester city centre. We visit both craft beer bars and breweries, sampling a variety of locally produced beers. Our venues are not always open to the public but with our unique tour, you will get to enjoy an unrivalled look at the exciting Manchester beer scene, and most importantly of all, taste its fantastic range! Our tours will operate in any conditions so please dress appropriately for the notorious Manchester weather. Please be aware that we walk between venues, although it is mainly flat and not excessively taxing. A three-hour guided tour & tasting experience around the city. Taste 10-12 craft beers (1/3 pints) along the way and discover the best craft beer Manchester has to offer. An expert from the venue will talk you through each beer explaining full details behind the taste, the history, the process and the ingredients of each beer. Visit four venues, including Manchester based microbreweries and specialist craft beer bars. We pride ourselves on providing a unique lineup of venues, each highlighting something different at each stop. All the beer you taste will be unique to the venue and you will learn about each venue and their history. The microbreweries we visit aren’t always open to the public so it is a great chance for you to get inside and taste produce as fresh as it gets! All of our craft beer tours start at our first venue Beatnikz Republic Bar in the Northern Quarter. 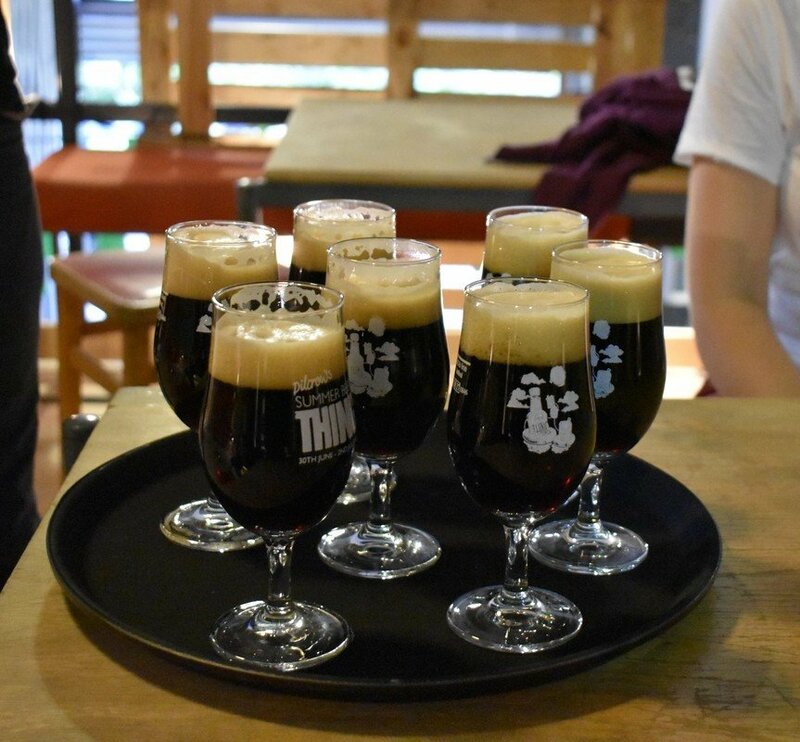 Your tour guide will then take you around the city visiting some of the best Manchester microbreweries and bars known for their excellent locally produced craft beers. You’ll visit 4 venues in total and taste over 10+ craft beers along the way. We are highly rated on TripAdvisor, see below for some of our reviews! Please note that you must be at least 18 years old to attend the tour. All of our bars are fully licensed, and should you be lucky enough to look under 25, both we and the venues may ask you to produce ID at any stage. If you have any questions or enquiries before booking, please feel free to email us on info@craftbeertourmanchester.co.uk.